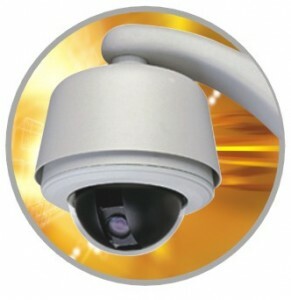 Constantly improving technology is producing high resolution security cameras. A high resolution se3curity camera is like watching your television in High Definition (HD). The higher the resolution, the better the detail and clarity of the picture. High resolutions cameras are generally more expensive than lower resolution cameras but even today's prices are lower than a few years ago. Why Should You Have a Security Camera? As a business owner there are a lot of challenges that you are going to face along the way. One of the biggest threats that you are going to encounter is that of theft, which is only going to lead to a tarnished reputation and loss of profits to name a few of the damaging effects. When you have a security solution in place you are going to be protected against any potential intruders because they will tend to deter away from your business and go elsewhere. It will also prove to be extremely beneficial for apprehending and prosecuting a criminal in the event that a crime does occur. Through the use of the advanced camera systems and accessories, there have been numerous arrests and successful prosecutions. When you make the decision to operate a simple retail store you have to be aware of the fact that you may be under watch for a potential theft in the works. This is why a security system is so important to have in your business today. You could be at risk for a substantial amount of income to be lost thanks to the habits of your employees or customers. There is only one way to be able to put an end to this type of problem and that is through a surveillance system. It is imperative to your business to keep your losses at a minimum and this is one of the keys to success as a business owner. One of the first things that people think about when trying to cut back on the amount of profit loss that they are dealing with is shoplifting. It has been proven time and time again that over ¾ of the profits are going out the door with shoplifting and employee theft. Having an efficient security camera in place is one of the best methods to help prevent this type of problem from happening in the first place. Often times you will find that as soon as the potential thief is aware that they are being watched they run away and don’t attempt to proceed with the shoplifting. If your cameras are hung in the proper places, you are going to find that they are worth well more than what you paid for them, even if they are not on. However, when you have the cameras activated you are going to find that they are the most important tool you can have in your business to prevent any potential losses. The majority of business owners find that they are safe by just placing a camera on the front door and one on the counter. This will help to prevent any potential problems because the two most important areas in the business are covered. However, there are numerous other places that you will find the cameras will be able to help improve your profit margin. Regardless, you need to have the cash register and entryways covered as a bare minimum for your safety and security. Having cameras over the cash registers is one of the best ways to prevent the potential for any employees who may get sticky fingers. This is the hub of operations and at some point in time or another this is where all of your money is going to be. This also includes credit card transactions, as well as checks. There is always the small margin of error that can occur from an honest mistake, but it is always better to be safe than it is to be sorry in the end. When you have everything going on in your store all recorded in high definition you will be able to see everything that much clearer and identification will be that much easier. It will also help give you a clearer picture of your employees and their individual performance levels. Your main goal for having the security camera in place is to prevent employees from being tempted to reaching in and helping themselves to what is not theirs. There are numerous opportunities that are present for employees on a regular basis, so why not do your part to help deter them and save yourself a lot of hassles in the end? It helps to keep your workers honest just because it is there and they are aware that there is someone who is watching them at all times. It is extremely important to make sure that you have a camera on the entry points at all times. Everyone is going to have to enter and exit at this point, so make sure that you have it monitored and under control to prevent any potential products from leaving without being paid for. This means that if someone is going to attempt to break the law and steal something from you they are going to be caught on camera more than once. It is hard to avoid the camera on multiple occasions, so you will be able to have the peace of mind knowing that you are protected at all times. Some of the best types of security cameras are the domed ones that you can attach to your ceiling. They will be able to be seen by all who enter your establishment and the 360 degree range will give you the perfect viewing angles at all times. These dome cameras are not going to make your shoppers feel uneasy and only the ones who were trying to shoplift from you in the first place are going to feel uncomfortable with the presence of these cameras in your store. It is not necessary that these cameras are equipped with night vision; however, you do want to make sure that they are capable of handling lighting conditions that may be less than adequate. If you are not going to be able to get an indoor camera at your location that will provide the optimum viewing for your entrance, you may want to look into one of the bullet cameras to do the job for you. 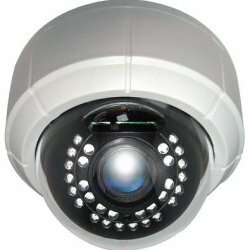 Bullet cameras are also very productive for use in various element conditions for all of your outdoor surveillance needs. Any time you are looking for something to work outside of your business, you need to make sure that you are choosing weatherproof cameras. The weather is extremely unpredictable, so making sure that you are set for anything that may come along is the best option for protecting your establishment. 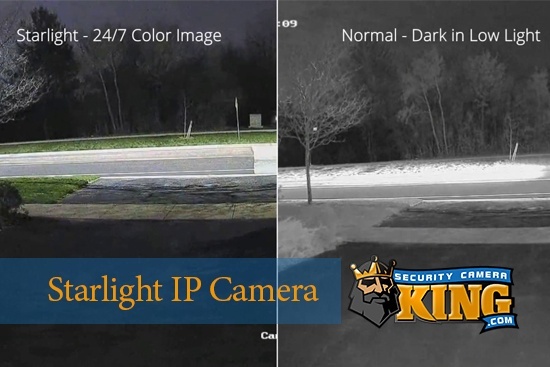 Outdoor cameras are considered valuable for their night vision features, which need to be strong enough to monitor your entire outside area in one swoop. There are a lot of different outdoor cameras that can withstand the weather for you to choose from, so take the time to go through the options for what you are going to need in your home. Another important element for your security camera is to make sure that it is vandal proof. One of the main details a potential thief is going to think about when they make the decision to rob your establishment is to take out your cameras to avoid being caught on tape. The vandal proof cameras are going to limit the amount of damage the criminal is going to be able to do to them and prevent any disabling of the system. They are able to maintain their viewing angles and deter any of the attempts to disable their system. 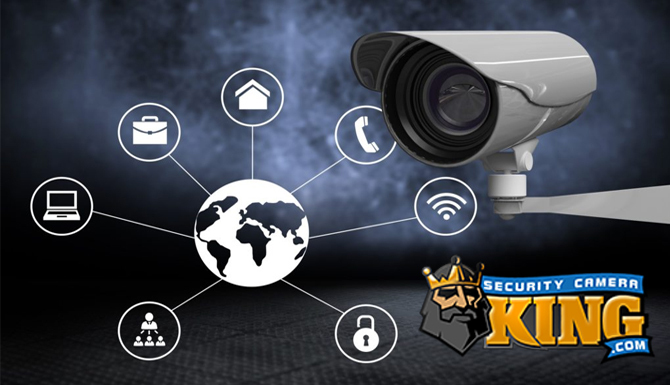 It doesn’t matter if you have indoor or outdoor cameras because vandal proof cameras are a necessity to be able to maximize the amount of security you are going to have at your business. You may even find that a lot of people will specifically target security cameras as a way to vandalize them. There is no other purpose served other than to get their kicks by disarming the security cameras. Make sure that you are doing your part to protect your store and your financial investment with the new vandal proof cameras on the market. 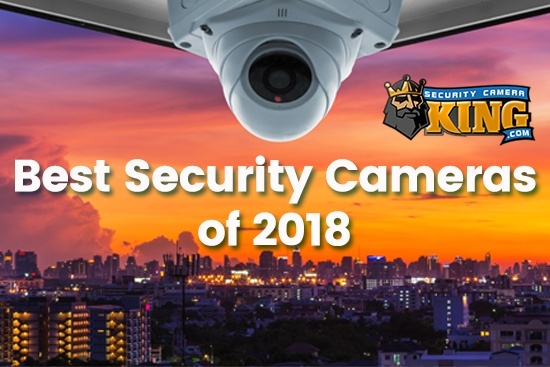 Any type of camera is going to be great for deterring a criminal, but in reality the key is making sure that they are able to record the activity that is going on. It doesn’t matter how much footage you have, if you are not able to have a storage medium to have the records that you are going to need years later. There are a lot of police investigations that have gone astray because there was no record of the footage being recorded, or the cameras were recording over everything on a daily basis. After 24 hours it is as if nothing ever happened and this can be a huge problem in the event that there was an incident that happened. Make sure that you are purchasing the proper DVR system for your business. You may not even be thinking about getting a DVR for your security system, but having one installed is just as important to your business as the camera itself. There are a few different types of recording devices and it is up to you to choose the one that is going to be the best for your company. The first option is a true DVR that will allow you to record numerous hours of video footage through multiple cameras at any point in time. The next option is a PC DVR, which is going to come pre-installed with the software that will enable your computer to be a workstation for your security system. It will function almost the same way as that of your DVR; however, you are going to need a PC to make the whole system work together. The last option is Capture Cards, which are a lot smaller and less costly than their counterparts. However, they are a great alterative for a lot of different types of installations. Once you have all of the aforementioned security measures in place you will begin to notice how much better your inventory control and profit margins will become. Security cameras are one of the best deterrents that can help prevent the worry of theft by retailers around the world. Don’t just sit back and let your money fly out the door when you have the power to take control. Stop the criminals in their tracks with your new security system in place.